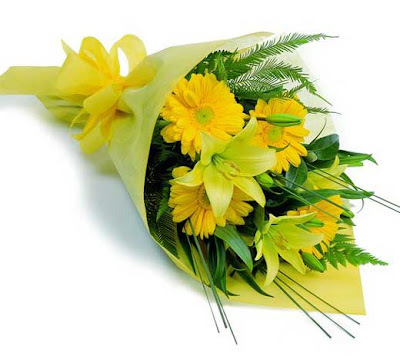 When a person passes away, it is a normal tradition to send flowers or prepare food out of respect and to show your love for those that were closest to the deceased. When you attend a funeral, you may see all of the flowers and wonder why they didn't send them while they were still living so that they could stop and smell the roses. Just the simple act of being around living flowers can quickly and easily brighten a space, lift a person's mood or even improve one's health and well-being. Giving gifts of love not for a specific reason or a specific date but because an individual is part of our life can be truly rewarding for both parties. The kind act of a gift or a flower can represent many different things including friendship, courtship, love, romance and so much more. It also produces feelings of being liked, being thought of and feeling special. The person giving the gift can receive simple joy and happiness from the act of giving and a person that receives it as a surprise can experience love, joy and bliss. I encourage you today to thank those individuals that are part of your life with a simple smile, a hug, a phone call, a kind gesture or even by sending them flowers. Tell them how much they mean to you. You may be amazed the relationship that opens up from this simple acknowledgement. Who will you acknowledge today?